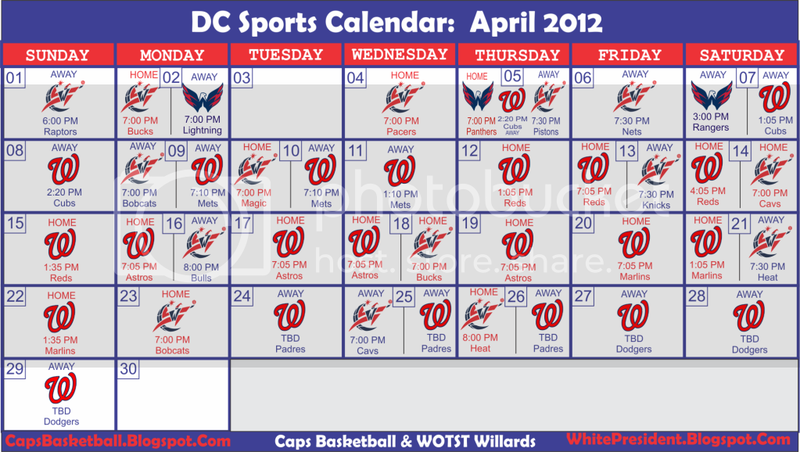 Below are the months of December - April in the eyes of a DC sports fan. 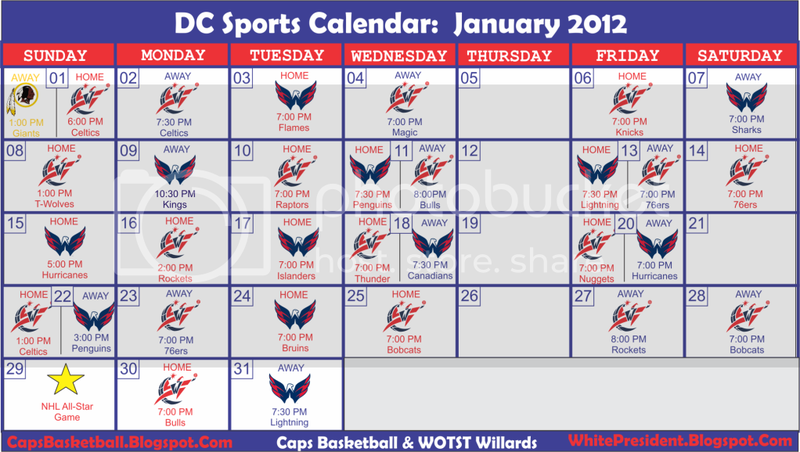 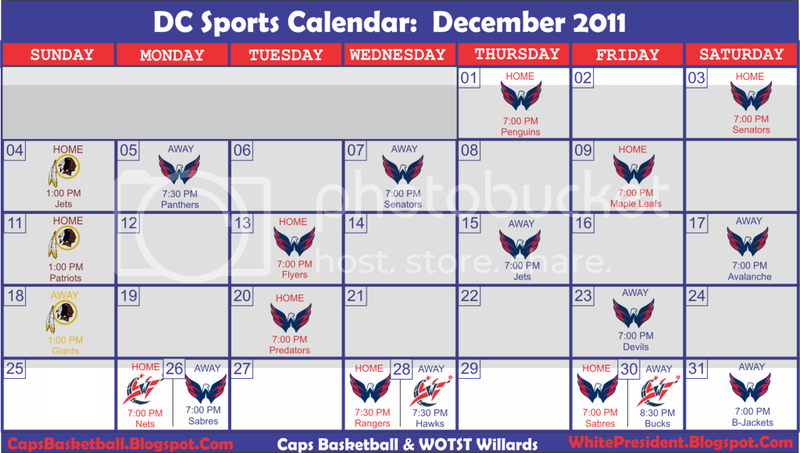 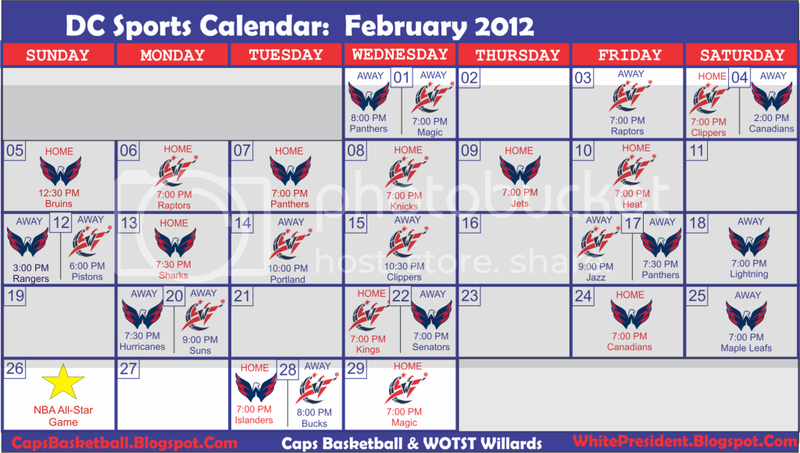 These calendars give you the dates, times, places, and opponents for the Wiz, Caps, Nats, & Skins. This should give you an idea of when you are gonna have to tune in to Comcast2 or when there are conflicts of game watching so you can DVR one or the other. 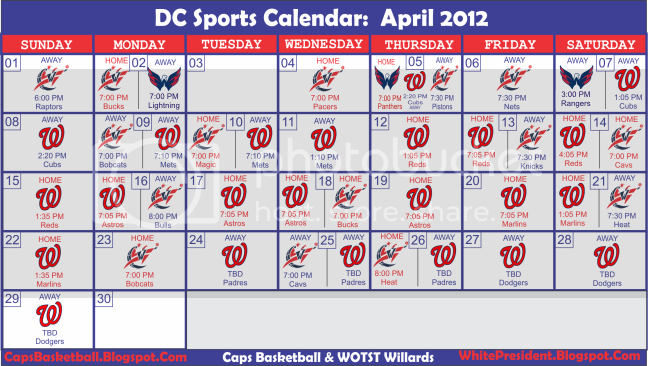 Interesting days include April 5th when the Caps, Wizards, and Nationals all play on the same day. 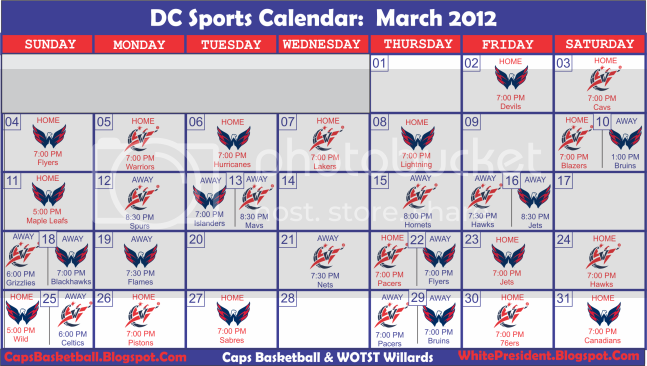 On February 4th-10th there are 7 straight games at Verizon Center, and from March 3rd-8th there are 6 straight home games. 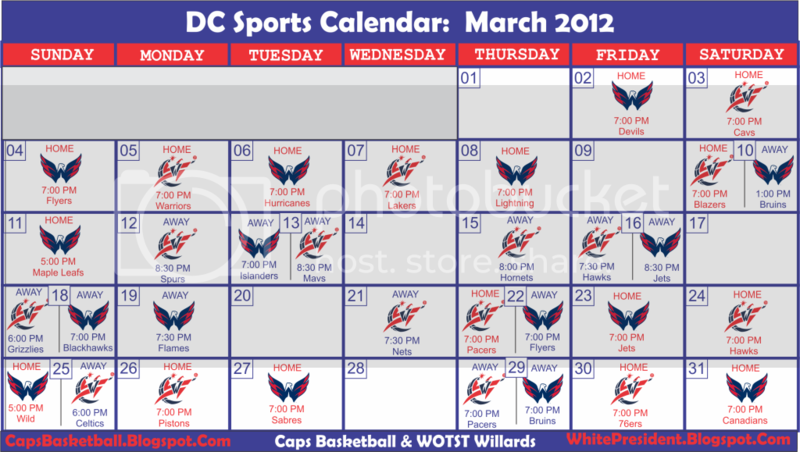 If I f'd up anywhere please let me know.